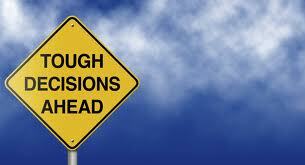 There are so many choices for an author to make when embarking on a novel. What time period? What setting? What structure? What genre? What characters? What events? How true should it be to real history? What is the time frame? What is it all really about? Many of these need to be answered before even starting out. No wonder so many potential novelists are put off at the first hurdle. And as soon as you’ve made those decisions, (assuming you haven’t given up in despair,) another wave of questions immediately comes hurtling towards you. Obviously there are even more choices to be made further down the line, about style, dialogue, punctuation, action versus exposition, amount of description, and what actual words to use, but for now I am going to focus briefly on the question of what to put in the middle. Or, as it is more commonly called, the plot. Plots are tricky things to get right. 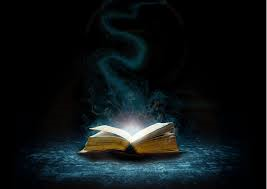 But when they work, they engross readers in your make-believe world so effectively that they keep turning the pages, even at chapter endings, and finish up by feeling that their lives have been enhanced in some way, and best of all, eager to start reading your next book. There are lots of things that can go wrong with a plot. The basic premise might be too weak. The concept may lack believability. The story might be too yawn-makingly obvious. The inherent conflict set up by the opening may not be sufficiently escalated. Readers also lose interest when crucial bits of information are missing, key scenes avoided, or if there is too much repetition. On the other hand there may be too many red herrings, inconsistencies or loose ends. As Chekhov said: ‘One must not put a loaded rifle on stage if no-one is thinking of firing it.’ The ending should not appear random or insubstantial, or, as so often seems to happen nowadays, to have been plonked in by the author just to get the whole damn thing over with. In my view, the very best endings grow out of the story, giving the reader what they want, but not quite in the way they expected. There is no magic formula for a great plot, and no quick fixes for a bad one. It is the individual decisions that writers make that are the key to success. So take time to ask yourself if your story is genuinely interesting. Are your characters’ quests worth pursuing? If the answer is yes, then I reckon you are well on the way to a bestseller! Helen Carey’s latest novel LONDON CALLING is now out in paperback. All her books are available from good booksellers, or on line. By any standard writing a novel is a long hard grind. Despite popular opinion, very few novelists ever hit the real mega buck level (many don’t hit any buck level at all). But yet judging from the plethora of wannabe novelists on Twitter and Facebook, it appears that almost everyone nowadays is an aspiring author. So why do so many people do it? I often ask the students on my writing courses what their motivation is. And here are some of the answers: ‘I want to make sense of the world, to explore my emotions, something awful happened to me and I want to write about it, because I love using language, it’s something to fill the time, I love books, I want to inform people about something, create another world, explore an issue, I’m bursting with a story to tell, my family is so funny I want to write about it, I see it as a kind of therapy, I want to share my knowledge, I want fame and fortune, I want to create something that lives on, a legacy,’ and so on. These are all perfectly legitimate reasons for having a go at writing a novel. They do not, however form a good basis for writing a successful novel. Let’s see what what the same students look for in a novel. So I think we can see there is a bit of a mismatch. The word entertain, for example, rarely appears in the first list and yet always appears in the second list. This doesn’t matter at all if the writer realises that the hilarious exploits of their family are unlikely to bring them fame and fortune. But it does matter if that’s what they are aiming at. They are pretty much doomed to disappointment. On the whole, people read books because they want to be entertained. Now, some people are entertained by dismal accounts of other people’s private misfortunes, some people even like being lectured to about obscure issues, but what most people really want is a book that grips them from beginning to end, about a subject that they find interesting and peopled with engaging and believable characters. 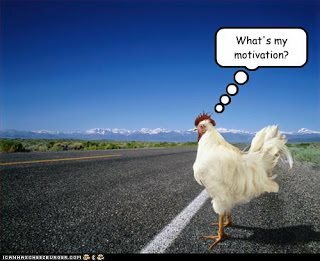 So if you are on the brink of starting to ‘write a novel’, stop for a moment and ask yourself what your motivation is. Then ask yourself what is the outcome you hope for. If you are going to aim for the fame and fortune option, then you are going to have to study your craft very carefully and prepare to write a lot of novels during the learning process. If, on the other hand, this is a one-off for your own pleasure or to amuse your family, then fine, just go for it. In either case, knowing what you are up to will help you do it better. And I wish you the very best of luck with it!